PAUL BRADY—THE WORLD IS WHAT YOU MAKE IT! If you want to hear hands down, the best musician to come out of Ireland in our lifetime, you are fortunate in that he is coming right here to Colorado November 5 at Daniels Hall in Denver. Paul Brady is nearly indescribable and if you try, people wouldn’t believe you. I think the best comment I heard was from an audience member when Paul last played at the Boulder Theater. Walking out of the theater after a typically dynamic Brady gig, one person remarked, “I’ve never seen so much music come out of one man and a guitar on a stage”. And I think that pretty much would sum it up. 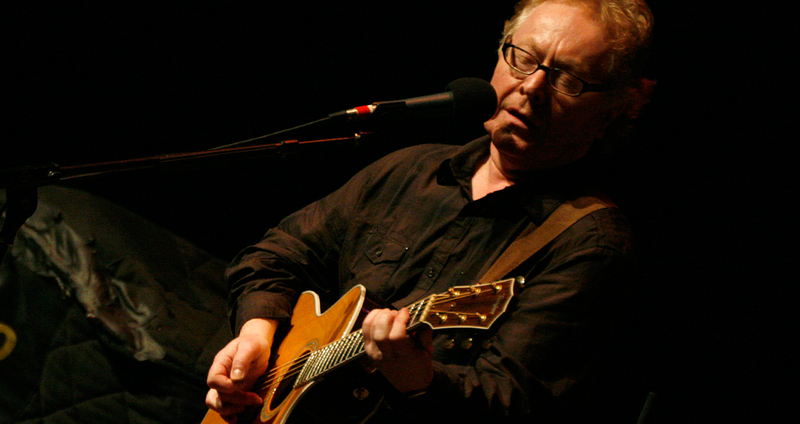 Paul Brady is a shape-shifter of high degree who set the bar with his traditional guitar and whistle as well as his ballad singing. Albums like “Welcome Here Kind Stranger” which included the likes of Tommy Peoples, Noel Hill, Andy Irvine and Donal Lunny and saw the recording of his version of “Lakes of Ponchatrain”, which has become the gold standard for that ballad. One of my very favorite albums was “Andy Irvine/Paul Brady”, where I first became mesmerized by “Arthur McBride”. Both of those albums have stood the test of time and are considered essential classics of traditional Irish music. However shortly after winning “Folk Album of the Year” with “Welcome Home Kind Stranger”, Brady veered into rock music, which saw him garner even more acclaim and success on the world stage with both his lyrics and his guitar work. Even though American rock artists picked up his work and ran with it, he never lost sight of his Tyrone roots and songs such as “The Island” and “Nothing But The Same Old Story” continued to resonate for the home crowd. Then, after decades of rock and roll and pop music, Paul released “The Missing Liberty Tapes”. This gem of a recording, truly missing for over 20 years from a gig Paul did in Dublin in 1978 just fanned the flames higher for those of us who couldn’t get enough of his traditional work! No matter what Paul Brady does, he does it to the very highest degree possible and we are all the richer for it. I am an unabashed and rabid Paul Brady fan—both of his lyrics and his music. In an interview I did with him many years ago, he said something that stuck with me and I have never forgotten. He said, “Sometimes, the only poetry some people will ever hear are song lyrics”. 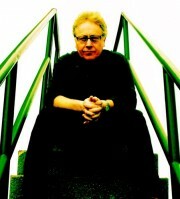 If that is true, and I believe it is, then Paul Brady is one of Ireland’s and the world’s “Poet Laureate”! On November 20th, Paul will receive the 2015 Lifetime Achievement Award from the National Concert Hall in Dublin Ireland. You can beat the crowd and hear him right here in Denver and shame on you if you miss this rare opportunity!!! 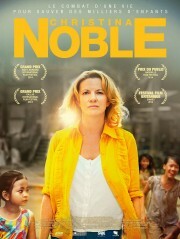 The Christina Noble story is very well-known in Ireland and even more prominent in Viet Nam and Mongolia. She was born in the slums of Dublin, Ireland on Dec. 23, 1944. Her mother died when she was ten and she and her three siblings were put into separate orphanages. She was told (erroneously) that they had also died. When she was 14, she escaped from the orphanage and lived rough on the streets of Dublin and in a dugout she made in Dublin’s Phoenix Park. She was abused, became pregnant and had her baby taken away from her. She eventually made her way to London in search of her brother. There she married, had three children and left the marriage after it turned abusive. In 1971 she had a vivid dream about children on the streets of war torn Viet Nam calling to her for help. With little money but an abundance of determination and courage, she went to Ho Chi Minh City (formerly Saigon) in 1989 to answer the call that has become her life’s work. She operates on the principle that “It only takes one person to make a difference.” That courage has led her to create orphanages in Viet Nam and Mongolia and be honored by the Queen of England by being made an Officer of the Order of the British Empire. In addition, a film called “The Noble Movie” about her remarkable story was released earlier this year in the U.S. after having won several awards at international film festivals last year. The event will begin at 2 PM (the Broncos game starts at 6:30 PM that day, so you’ll not miss the game and the final of the Rugby World Cup is the day before). The Grogans live at 17796 E. Jamison Ave., Centennial 80016. To meet this incredible woman and hear her story from her own lips, Please RSVP to Donal at donalgrogan@comcast.net or call him or Lindsey at 303.868.6254 if you have any questions. Brian Clancy is at Jack Quinn’s in downtown Colorado Springs at 7:30 PM on the 5th, 11th and 19th and wishes all a Happy Thanksgiving! ‘cause he won’t be there that day and is at The Irish Snug on Capitol Hill in Denver at 8:30 PM on the 7th and 21st. Augustana Arts presents the Colorado Women’s Chorale in concert for a show titled Celtic Dreams, Jennifer Ferguson, Conductor, featuring the Wick School of Irish Dance and the Cherry Creek High School Girls’ Choir on the 13th at 7:30 PM at Augustana Lutheran Church, 5000 East Alameda Avenue, Denver, CO. Tickets are $25 adult; $20 senior; $15 student; $10 children age 4-17 years and are available online at www.AugustanaArts.org or by calling 303-388-4962. The Juice O’the Barley has some new members – Scott Sherman and Jay Juran who joined last May and this May respectively – and a new sound – maybe bluegrass Celtic? Last month they did their 12th annual fundraising effort for the American Diabetes Association and raised $1,160 for the ADA. The Michael Collins Pipe Band is doing a fund-raising concert for their trip to Dublin next Easter at the Sheabeen Pub on East Iliff in Aurora on the 28th at 7:30 PM. They’ll be joined by special friends The Juice O’the Barley. Mountain Road Ceili Band is at The Margarita at Pine Creek in Colorado Springs on the 20th starting at 6:30. It’s right off of I-25 at Woodmen Road on the north end. Avourneen is at Katie Mullen’s on the 13th, 20th and 27th at 9 PM, play a live set on the KRCC Celtic Show in Colorado Springs on the 15th at 10:30 AM and on the 28th play for the Contra Dance at the Westminster Grange Hall. Kindred Spirits plays at Stella’s Coffee Haus, 1476 S Pearl St, Denver, on the 15th – 10:30 AM to 12:30 PM. The Bedlam Boys (Steve Hart and Marty Smith) at the Bierwerks Brewery in Woodland Park on the 19th at 7 PM. Ceol Ceili plays for the Cripple Creek high school band fundraiser the 12th in Cripple Creek. On October 1st, the United Arab Emirates (UAE) and Belize signed bilateral trade agreements that will serve as a catalyst for investments from the UAE and will strengthen Belize’s position as a Central American and the Caribbean regional energy leader. These trade agreements will serve as a foundation to catalyze private sector investments from the UAE, as well as government-to-government investments. With its discovery of oil 10 years ago, Belize shares a similar vision with the vision of UAE’s founding father, the late Sheikh Zayed, who believed that the discovery of oil was only the start of the ultimate economic success story for the country. BNE believes that its country can emulate the UAE’s vision and prominence in the Middle East, and achieve a similar success story, with the UAE providing the necessary financial and knowledge-based resources to achieve this vision. The BNE vision is an important part of a growing public-private relationship, and the signing of these agreements between the UAE and Belize is the foundation from which the BNE vision for a better Belize will be realized. Back in Denver Susan talked about the astonishing global coverage that the signing received to date as the historic event was picked up by over 221 websites, with a potential total audience of 171,418,133 unique visitors per day! It was reported by Yahoo Finance, Reuters & The International Business Times to name a few, and also was headline news around the world. “So to say that this signing and the success of the Educo BNE Model has gone global would be an understatement!” exclaimed Susan, who added, “This milestone event was also displayed on the massive screens in Times Square, New York City, during rush hour signaling to the world the importance of these agreements and providing global recognition for The Educo BNE Model!” As the Belfast native reflected on the monumental achievement, she said, “ I just realized it all started with two people leaving Ireland, one Josh Stewart and going to Africa and the other myself and going to USA…. Josh then visited me after I had just come back from the Educo Seminar given by another Irishman Tony Quinn! Well this is an Irish celebration for the world! Emmet Cahill is returning to Colorado! He is no stranger to Coloradans, having performed here several times over the past three and a half years as a member of Celtic Thunder, the popular Irish group often featured on PBS. His visits here have also included helping local PBS stations with fund raising drives. A native of Mountnugent, County Cavan, he now calls Mullingar, County Westmeath home and has embarked on a solo career that has taken him across America and will bring him to the Black Box theatre in Colorado Springs on October 5 at 8 PM. There, you can hear him perform everything from Broadway show tunes to classical Irish songs sung by the legendary John McCormack like I’ll Take You Home Again Kathleen, Macushla and Danny Boy and traditional songs like Cavan Girl and Star of the County Down. In between, expect to hear stories about his growing up in Ireland – and growing up even more on the road and on cruise ships touring with Celtic Thunder. Emmet grew up in a musical household and began receiving music lessons from his father when he was 4. Those lessons and his natural talent led to his receiving a 5 year “Schola Cantorum” music scholarship at his local secondary school and then formal classical training at the prestigious Royal Irish Academy of Music, from which he received a university degree in Music Performance. He has been cast in many stage productions in Dublin and has performed on stage at the Gaiety Theatre, Dublin and as a soloist at the National Concert Hall. He is an avid sports fan and has twice sung the Irish national anthem at Croke Park Stadium in Dublin in front of crowds of 90,000. Emmet has also performed for the former President of Ireland Mary McAleese and has sung at several international rugby games in Dublin’s new Aviva Stadium. He also sings regularly at the Mullingar Cathedral and at the Crover House Hotel in Cavan on the shores of Lough Sheel. Irish Songstress, writer, multi-instrumentalist, Eleanor McEvoyll will perform in Denver October 2,3,4 at the Rocky Mountain Audio Fest (RMAF) at the Marriott Denver Tech Center. 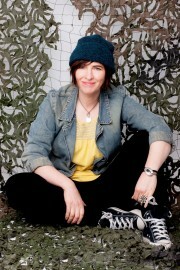 McEvoy achieved star status in Ireland in 1992 when her song “A Woman’s Heart” inspired the title for, and appeared on, the A Woman’s Heart anthology album. A Woman’s Heart has since gone on to become the best-selling album in Irish history. audio companies in Denver, the 3 day fest showcases more than 400 brands – from the aff¬ordable, to the absurd; from high-end specialty companies to Industry giants. The annual event draws vendors and audio enthusiasts from around the globe. and give guided tours of the event’s complex and lively layout. Admission is $10 for one day or $25 for a weekend pass. Fri. 12 – 7pm; Saturday 9am – 6pm; Sunday 9am – 4pm. Tickets and more information are available at www.audiofest.net. There will be a Céilidh Fundraiser for the Colorado Youth Pipe Band on the 17th from 6 – 10 PM at the Jefferson Unitarian Church, 14350 E. 32nd Ave. in Golden with performances by Skean Dubh, the Colorado Youth, Queen City and Centennial Pipe Bands and the Scottish Fiddle Society. There will be food and drink for purchase and drawings for prizes. Admission $15 for adults, $5 ages 5-12, children 4 and under free. Brian Clancy does his usual show (which isn’t at all usual – just fun) at the Jack Quinn Irish Alehouse and Pub, Downtown Colorado Springs, at 7:30 PM on the 1st, 8th, 15th, 22nd and 29th then entertains all at The Irish Snug on Capitol Hill in Denver at 8:30 PM on the 3rd, 17th and 31st. Folk Ragoût, fresh from a successful show at the Celtic Harvest Festival in Edgewater performs music and teaches dances from Brittany (Denver’s Sister City in France is Brest and is located in Brittany, one of the 7 Celtic Nations) at the Denver Sister Cities International Worldwide Festival on the 4th at 12 PM under the Galleria at the Denver Performing Arts Complex. Potcheen, another band who wowed them in Edgewater last month, travels to Reno NV for their first gig on the 2nd at the Ceol Irish Pub there, returns home for a Celtic Night Oktoberfest in downtown Carbondale on the 9th at 7 PM and then closes out the month on Samhain on the 31st at 8:30 PM for a Day of the Dead Party at the Westin in Beaver Creeek. The Indulgers had a great time at the Northglenn Pirate’s Ball and at the Boulder Fall Fair last month and open October at the Tourism Ireland event at 5 PM, Conor O’Neill’s in Boulder at 10 PM on the 23rd and close out the month at the Witches’ Ball on the 24th at 5 PM followed by a a Midnight Samhain Ritual. The Ball is at the Highlands Masonic Center, 3550 Federal Boulevard in Denver. In other news, after 5 years with the band, Frannie “Cheech” Mannone has moved on and Rick Jorgensen is the band’s new drummer. Kevin Dooley is at the Gold Hill Inn, northwest of Boulder up Left Hand Canyon on the 4th playing a benefit for the Boulder Hospice at 7:30. Many other bands from the area will play and all will join in to play two Bruce Springsteen tunes together. The evening’s music will be recorded and made into a CD. He follows that with a show at The Hilltop (near Rocky Mountain Airport) in Broomfield on the 8th with Eric Drobny from 7-9:30 PM. Lougheed entertains the Happy Hour crowd at Clancy’s in Wheat Ridge on the 3rd from 5 till 8 PM. Avourneen wowed the crowd at the Edgewater Celtic Harvest fest last month, they’ll perform their weekly gig at Katie Mullen’s at 9 PM on the 2nd, 9th, 16th, 23rd and 30th and Adam plays his weekly gig at Lannie’s Clocktower Cabaret on the 10th, 17th and 31st at 11 PM, makes their debut at Jack Quinn’s in Colorado Springs on the 3rd and plays at The Abbey on East Colfax on the 24th. Blackbird plays Irish and American folk-fusion music at The Boot Grill (http://thebootgrill.com/fort-collins/) in Fort Collins on the 16th from 8-11 PM. Find Blackbird online at https://www.facebook.com/blackbirdtunes or at https://www.reverbnation.com/blackbird79. The Wicked Sheehogues are at Clancy’s, 7000 W. 38th Ave. Wheat Ridge, from 5 to 8 PM on the 3rd. Big Paddy rocks out at The Exchange Tavern in Westminster on the 2nd at 8:30 PM, the 30th at the Jack Quinn Tavern and Ale House in Colorado Springs at 9 PM then closes out the month at the Westminster Brewing Company at 8 PM with a costume contest and prize giveaways. Skean Dubh was another crowd favorite in Edgewater and can be seen and heard on the 17th at the Colorado Youth Pipe Band fundraiser in Golden and later in the evening at the Golden City Brewery. Kindred Spirits charms the customers at Stella’s Coffee House on S. Pearl St. in Denver on the 18th from 10:30 AM to 12:30 PM. Colorado Ballet opens its 55th season with the romantic ballet La Sylphide, October 2-11, 2015 at the Ellie Caulkins Opera House, DCPA. La Sylphide features choreography by August Bournonville and music by Herman Severin Løvenskiold, performed live by the Colorado Ballet Orchestra. In the ballet, a young betrothed Scotsman pursues a beautiful winged sylph, or spirit. He is tricked by an evil witch and in his quest for the sylph’s unattainable love, he abandons his fiancée and ultimately loses everything. Friday, October 2, 2015 at 7:30 p.m.; Saturday, October 3, 2015 at 2 p.m.; Saturday, October 3, 2015 at 7:30 p.m.; Sunday, October 4, 2015 at 2 p.m.; Friday, October 9, 2015 at 7:30 p.m.; Saturday, October 10, 2015 at 7:30 p.m.; Sunday, October 11, 2015 at 2 p.m. Ticket prices range from $30 to $155. 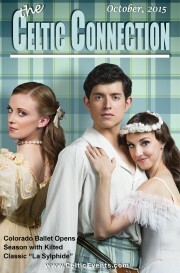 To purchase tickets, visit www.coloradoballet.org or call 303-837-8888 ext. 2. Established in 1961 by Lillian Covillo and Freidann Parker, Colorado Ballet is a non-profit organization celebrating 55 years of presenting world-class classical ballet and superior dance in Denver. Under the direction of Artistic Director Gil Boggs, Colorado Ballet enhances the cultural life of Colorado through performances of the professional company, training at the Academy, and Education & Community Engagement programs. For more information about the Colorado Ballet, dancers, or the 2015-16 Season, visit www.coloradoballet.org.